Whether you get there by car, by canoe, or on your own two legs, these gorgeous waterfalls in the Ozarks are worth the trek. Photo by Jeff RoseThe Lost Valley Trail in Arkansas's Buffalo National River Wilderness area leads to Eden Falls. Fun Fact: The belly of this trail is home to the tallest waterfall between the Rocky and Appalachian Mountain ranges. Bonus: You’ll enjoy views of Arkansas mountains on the trips in and out! Fun Fact: This waterfall is the tallest waterfall in Missouri! Johnson’s Shut-ins State Park, Taum Sauk Mountain and Elephant Rocks State Park should all be explored while on this trip. 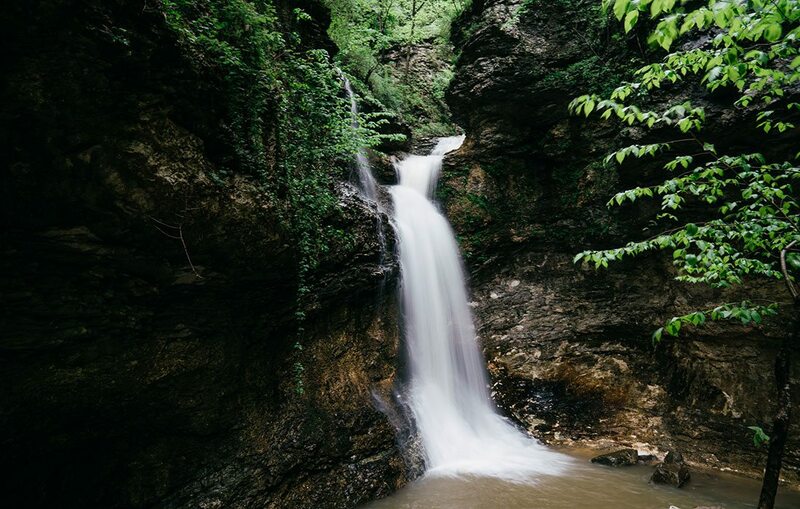 Fun Fact: This well-known waterfall can be accessed by multiple trailheads in the Hercules Glades Wilderness are, and nearby hikes offer treks up the Upper and Lower Pilot Knobs (where you can take in some of the longest views in Southwest Missouri). Fun Fact: This hike has some incredible waterfall views, but it’s also home to one of the highest rates of search and rescue due to injury in the area. Take a small first aid kit, and take a friend. Fun Fact: To see the falls at this Branson escape you’ll have to meander a bit off trail, but after the heaviest of rains, you’ll hear it roaring. 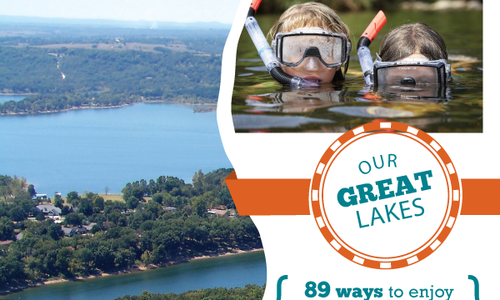 Why We Love It: Grand Falls is Missouri’s largest continuously flowing natural waterfall. This local treasure runs over unusually thick layers of chert rock. The best part about Grand Falls is that it is easy to find and quick to reach; the falls are just outside of Joplin. How to Get There: From I-44 West, take Joplin exit 6 (Hwy 86 south). Follow south approximately 2 blocks and turn right (west) on Glendale Road and follow about 1.5 miles. Turn left (south) on Jackson and cross over the low water bridge. Immediately after the bridge, turn right (west) on Riverside Drive; follow for 2 miles and Grand Falls will be on your right side. Why We Love It: The waterfall dumps into a pool that is 16 feet at the center with blueish green water. The pool is one of the few places at Dogwood Canyon where you are not allowed to fish, which explains the large amount of rainbow trout that inhabit the pool. 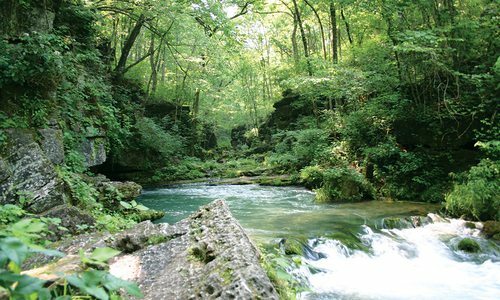 How to Get There: Dogwood Canyon Nature Park, 2038 W. State Highway 86. For more information, call 417-779-5983. 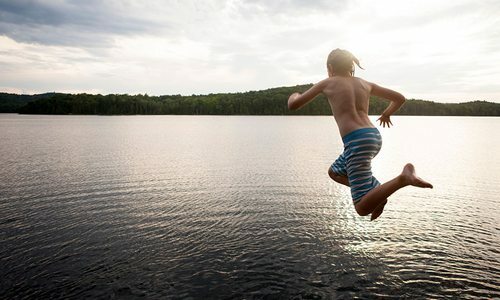 Why We Love It: After a big rain, make sure to head out to the Ruth and Paul Henning Conservation Area. Along the Homesteader’s Trail, you can chance upon this wet weather waterfall. This waterfall will be located at Stop 10. How to Get There: To access Homesteader’s Trail, travel East on Highway 248. Turn right on Sycamore Log Church Road and go south 3.4 miles to a gravel parking lot adjacent to Roark Creek. Why We Love It: Flowing from the Devil’s Icebox Spring, this waterfall drops 90 feet into Roaring River Spring. This waterfall does not flow often, however, so don’t miss your chance to see it. How to Get There: It’s located at Roaring River State Park (12716 Farm Road 2239, Cassville). 89 ways to enjoy the life aquatic in 417-land.